As a call to stand up for religious freedom, Calvary Church will light its outside façade in red on Red Wednesday, November 28, 2018. 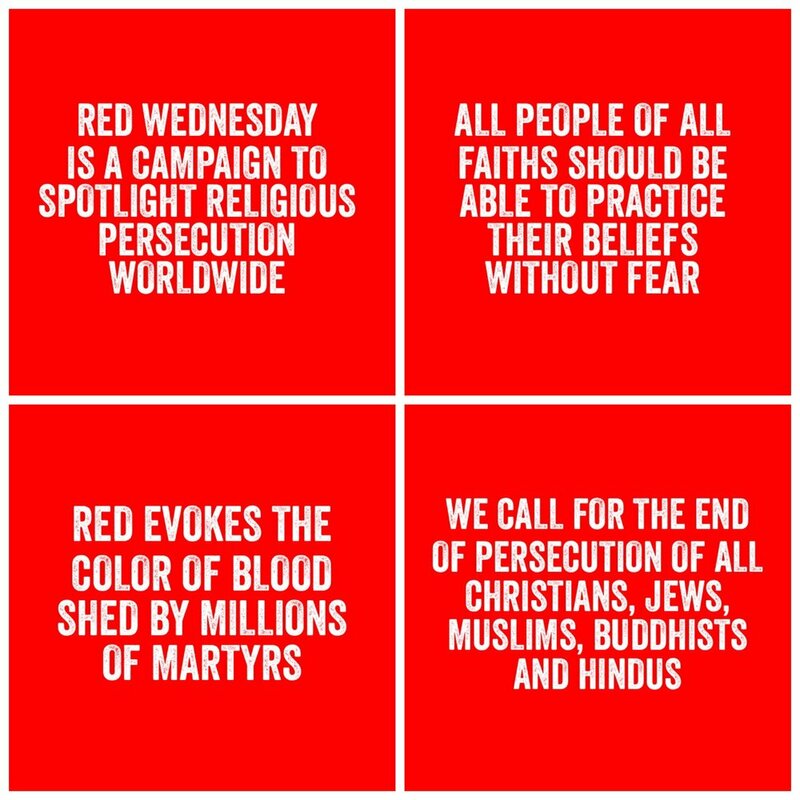 All a part of Red Wednesday, the campaign is known for its activist spotlighting of churches and monuments in the color of martyred blood to encourage people to pray, support and take action for those who aren’t free to believe. The bold symbolic gesture, worship service and social media campaign were designed to shine compassion on the suffering of all people of all faiths—Christians, Jews, Muslims, Buddhists, and Hindus. Calvary-St. George's is the first and only church in all of the United States to join the Red Wednesday Campaign. Our hope is to bring awareness of the persecution of Christians. Our church will stay lit until Sunday, December 2, 2018. As Christians, we’re called to speak out against injustice: to defend the oppressed. #RedWednesday is a fantastic opportunity to do just that: to stand with those who face injustice because of their religion or beliefs. Since 2017, more than 200 million Christians experienced high or extreme levels of persecution in the 50 countries where it's most difficult to openly practice their faith. But Muslims, Jews and Hindus also faced threats, discrimination and physical harm. This special Wednesday evening service on November 28 will take up a collection for the Take Action for Persecuted Christians group sponsored by the Billy Graham Evangelistic Association. The spotlighting of the church will follow the service. Let's enjoy our forgiveness and freedom to believe together. And in the spirit of solidarity, take a #RedWednesday selfie, tag us @calstgnyc and @redwednesdaynyc, and share it on social media with the hashtag #RedWednesday.